On the heels of the release of the new 21.5-inch Retina 4K iMac and the new Magic input devices, Apple has updated iMovie for Mac to version 10.1. The ability to edit and share videos at 4K resolution. Support for 1080p video at 60 frames per second. A new interface with a three-tabbed layout and a dedicated Projects browser. Importing of projects created in iMovie for iOS. The option to hide Browser while editing a video. Ten video filters previously found only in iMovie for iOS. The 10.1 update is available in the Mac App Store and is free to users of iMovie 9 or later. iMovie for Mac is $15. 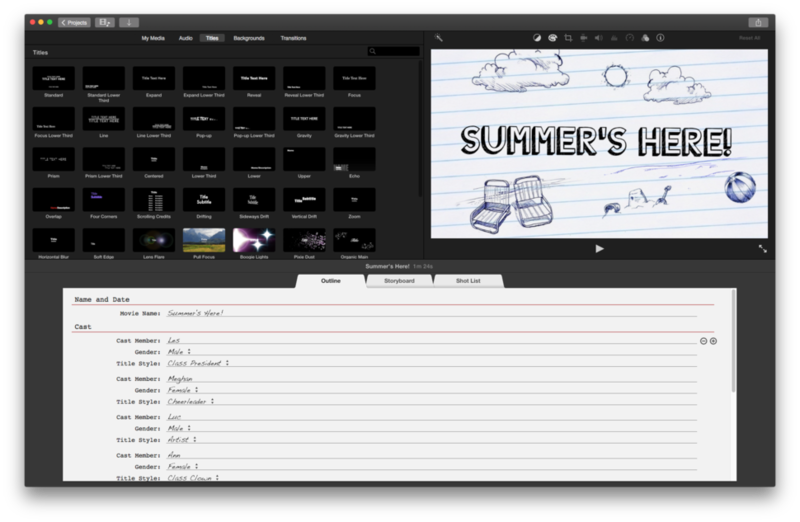 Macworld will have a review of the new version of iMovie for Mac coming soon.